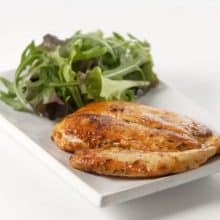 These grade A Chicken Breasts have been butterflied which makes them easier to cook quickly whilst retaining a moist texture. They have been marinated in Ginger, Chilli & Lime juice for extra flavour. 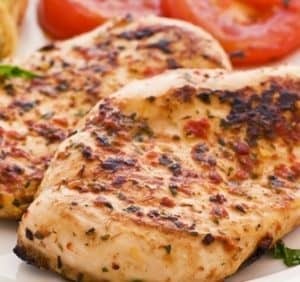 The chicken breasts can be cooked from frozen making them a great choice for a quick and easy meal. 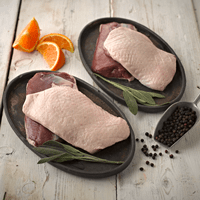 They can be used as a centre piece, cut into strips for a stir-fry or served on a baguette. 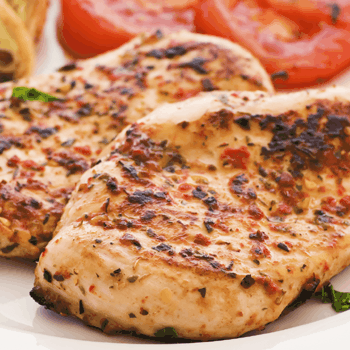 Prime British Chicken Breasts, butterflied & marinated to enhance the flavour with Ginger, Sweet Chilli & Lime. A GLUTEN FREE scrumptious marinade that makes a quick meal which can be grilled or oven baked from frozen. Grill: pre-heat the grill to medium hot and grill on each side for 10-12 minutes. Oven: pre-heat your oven to 190c, place the chicken breasts in an oven proof dish and bake for 25-30 minutes turning at least once. Serve with a green salad or your favourite vegetables. British Chicken, celery, margarine ( palm oil, rapeseed oil, water, salt), Ginger, red chillies, lime juice, onions, black pepper, spices, herbs.